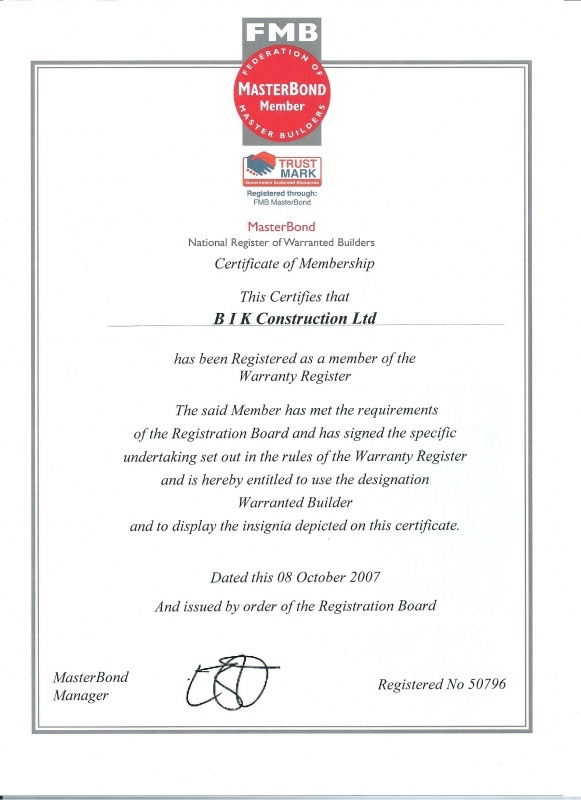 Bik Construction Ltd is a family-run business. We started the business as a sole trader 11 years ago. Since the beginning we have taken pride in paying great attention to every detail of our work, thus producing a high quality project with a high standard finish each time. Our clients have appreciated this approach and our business has been constantly growing, leading us to registering as an Ltd company in 2006. 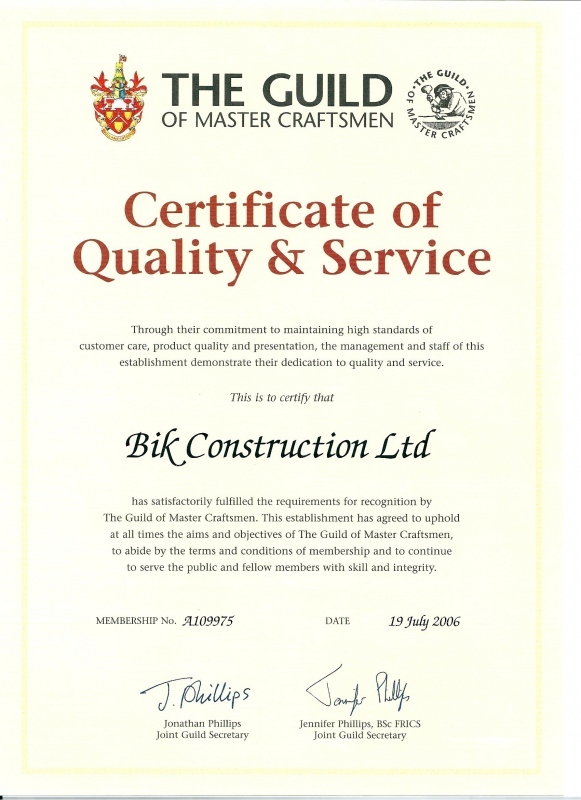 The quality of our work achieved an official recognition when we joined The Federation of Master Builders and The Guild of Master Craftsmen in 2006. 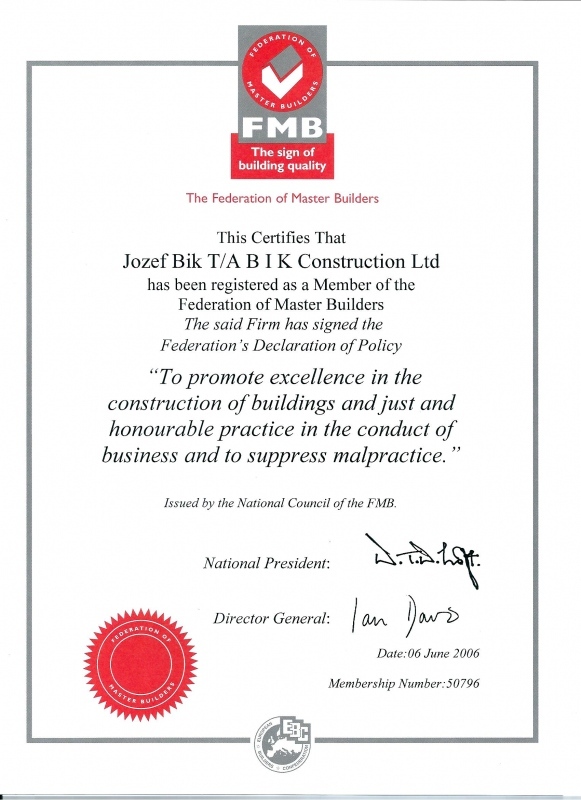 We upgrade our FMB status by joining FMB Master Bond – National Register of Warranted Builders in 2007. 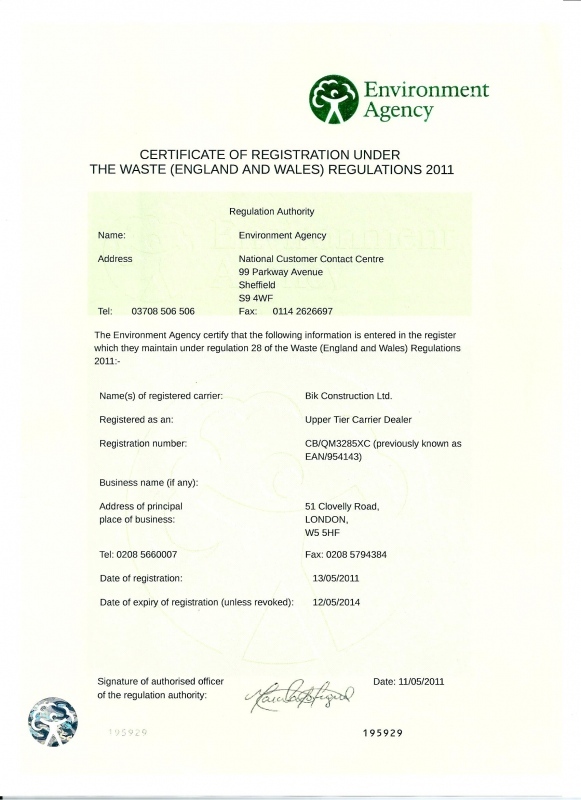 Also we have been taken on board by Government Endorsed Standards Scheme – Trust Mark. We believe in individual-tailored service rather that in applying the same design to everyone. At the beginning of the project we will carefully listen to your vision of the final outcome and discuss different ways of achieving it. This will include the choice of materials, cost and incorporating any personal ideas or innovations that you would like to include. 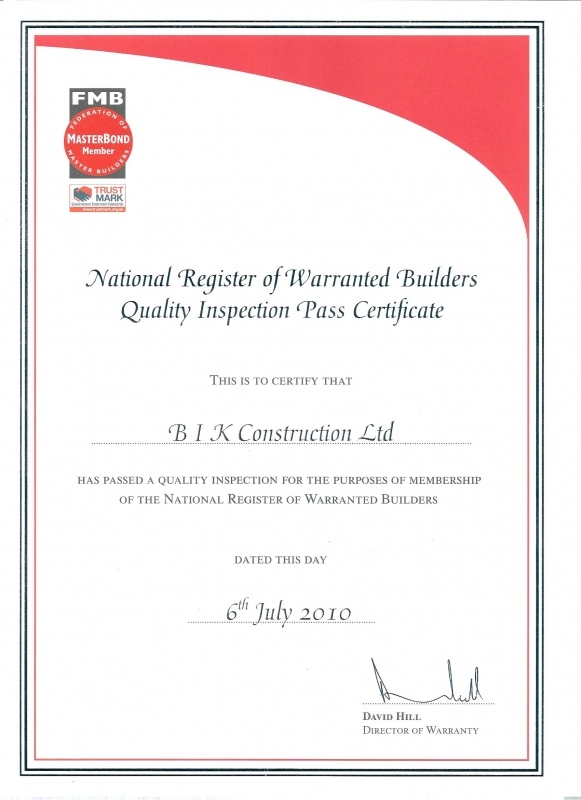 With our experience we can ensure successful completion of any aspect of building work. We appreciate our clients’ help with this fast and long journey.